I have finished my Quilt top and I am in love with it. There is just something so fresh about this pattern and fabric combination. This top finishes at 55" x 63"
The pattern is "Strawberry Social" by The Pattern Basket. Do you remember my Foxes from my last post about my Strawberry Quilt? This is what they were for. The center panel of my backing for this quilt. It is ALL Bonnie and Camille and in my eyes the perfect pattern mix. 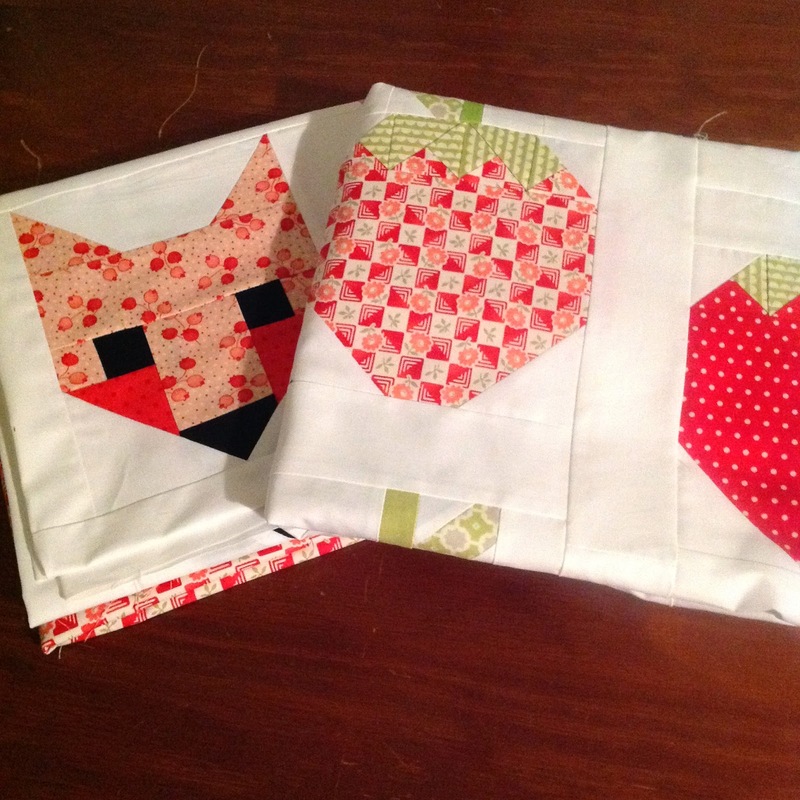 I still don't think I've finished playing with Fox blocks as they are so cute. What a fabulous combination Sharon!!! I love it!! I can see why you love this one, it's gorgeous. As are the foxes, although I think they deserve their own quilt. Fantastic idea to use Mr. Fox as your backing to help keep the strawberry pickers away :) Barb. Lovely quilt top, great quilt back also. Love the colours used. Very cute foxes. Much nicer than the one we have tormenting my sheep at the moment, if I catch that one I'm going to boot him into the dam. Your foxes look much sweeter. I can't believe you already have the front and back of this quilt completed! I love, love, love this one!! I have a kit to make this quilt my mom gave me for Christmas, but I have held off on making it because I think I want to use a navy background instead of white. Of course when I went to buy the Kona navy the other day the shop was out of. How do you think it would look with a navy background? Your top and fox backing is precious! Thanks for sharing! I love it! Your quilt is just beautiful Sharon. Yes, even those foxes too. The only good kind of fox! 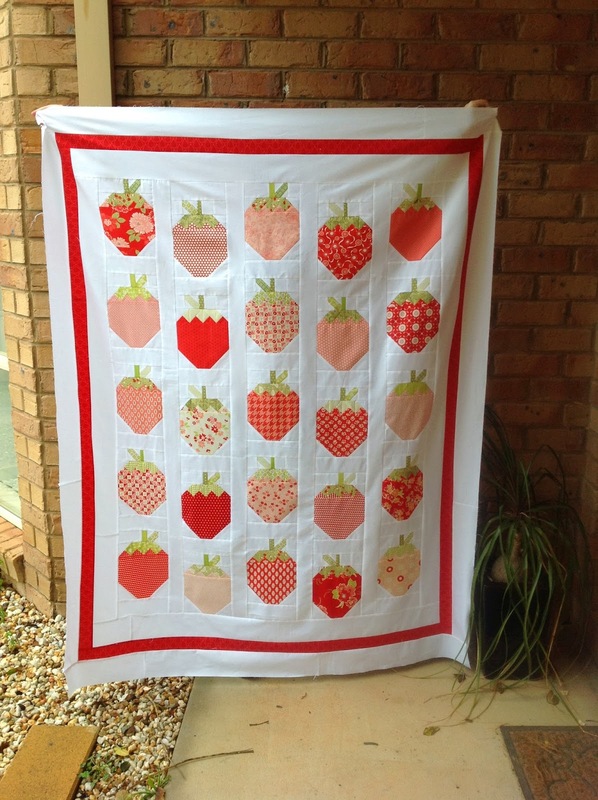 What an adorable strawberry quilt. Love the Bonnie and Camille in it! 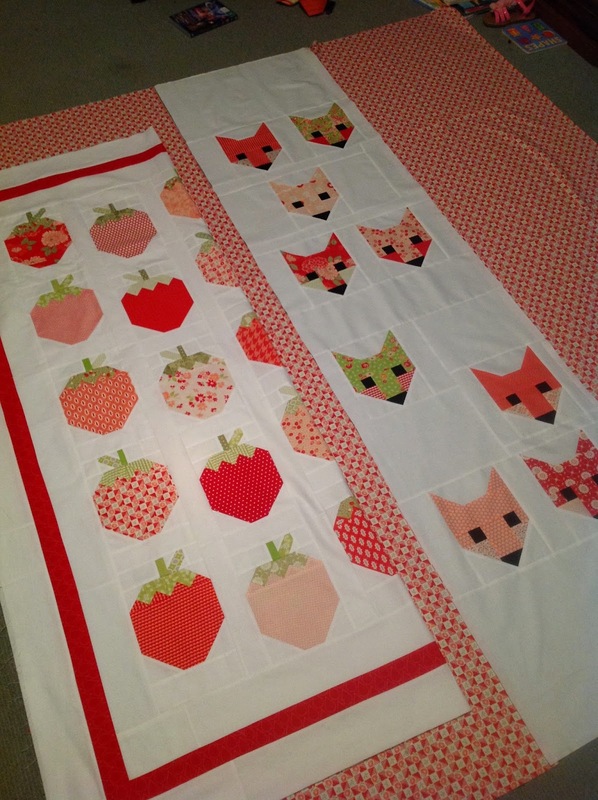 Gorgeous quilt with yummy strawberries and cute foxes. Two beautiful "tops" put back to back there. Great use of B&C fabrics. You've inspired me.